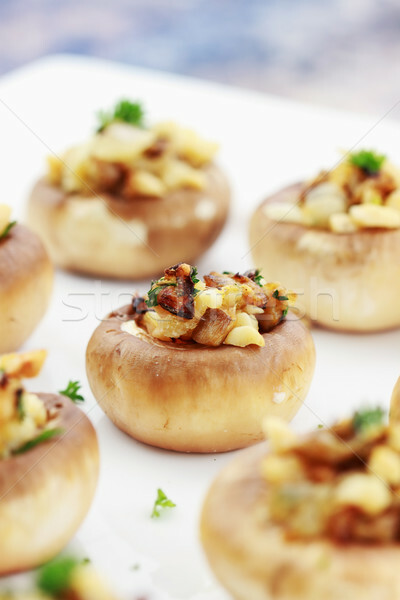 Stock photo: Stuffed mushrooms filled with bread crumbs, cheese, mushroom stems, fresh parsley,onions and Macadamia nuts. Extreme shallow DOF with selective focus on center mushroom. Online since March 7, 2011.